Western Europe gets all the attention when it comes to world tourism but the East has so much to offer those who decide to see it. Growing up in one of these countries, (Czechoslovakia and later the Czech Republic) I have to say I’m a little biased toward which one is truly fantastic (hint: you should czech it out! ), but I’ve also never had the opportunity to see it through the eyes of a tourist. I imagine there are some great vacation apartments in Prague but why would I stay there when I can just stay with my family? The same is true for the other countries in Eastern Europe – great things to see and places to stay. Your money will often go further in these destinations than their western counterparts and the energy in the streets is just… different. It’s hard to explain, but anyone who has been there knows what I’m talking about. Maybe it’s that they’re less tourism focused or maybe it’s the historical influence, but Eastern European countries feel both exotic and comforting all at the same time. Here are some suggestions of cities to visit in Eastern Europe – there are many more but this is a great place to start! 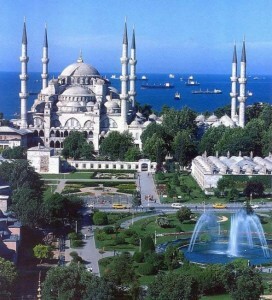 That great city on the Bosphorus is home to more wonders and history than virtually any city in the modern world. For many, Istanbul marks the confusing dividing point between Asia and Europe and this dual identity has provided its share of complications over the centuries, resulting in a fascinating culture that defies characterization. Be sure to check out the Blue Mosque, Hagia Sophia and other countless World Heritage Sites when you’re in town – they are sights to behold. Still one of the hidden gems of Eastern Europe, Riga is a city many fall in love with as soon as they set foot in it. With its understated architecture and old world charm, the Latvian capital can show you a side of Eastern Europe you never knew existed. As a port city, you can be certain to find many spectacular views of the city skyline as you explore all that it has to offer. Few cities have had as dramatic of a history as Kiev and lived to tell about it. Built up and knocked down over centuries, ruled by different powers and abused by friends and enemies, this Ukrainian metropolis will catch you off guard the first time you see it in person. 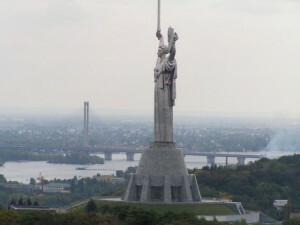 Home to numerous important cultural sites, like St. Michael’s Golden-Domed Monastery and the awe-inspiring Mother Motherland monument, Kiev will never cease to amaze you upon every visit. Obviously Prague is awesome so I will keep this brief otherwise I will sound more biased than I already am:p As the home to much of the areas culture, history and influence, Prague is rapidly becoming one of the top tourist destinations in all of Europe and much of this has to do with its welcoming air and romantic setting. If you think you’ve seen Europe but haven’t been to Prague, you’d better reconsider that declaration and get over there as soon as possible!